It has been a really long while since I last blogged. I am currently in the midst of having all my project and also with exams coming up really soon! I have been wanting to do my nails with all the nail art ideas, however I could never find the time to do so. However, I will be coming back in September with all those for you! Well today, I am back here to show you this amazing Summer'14 Collection from Jior Couture. 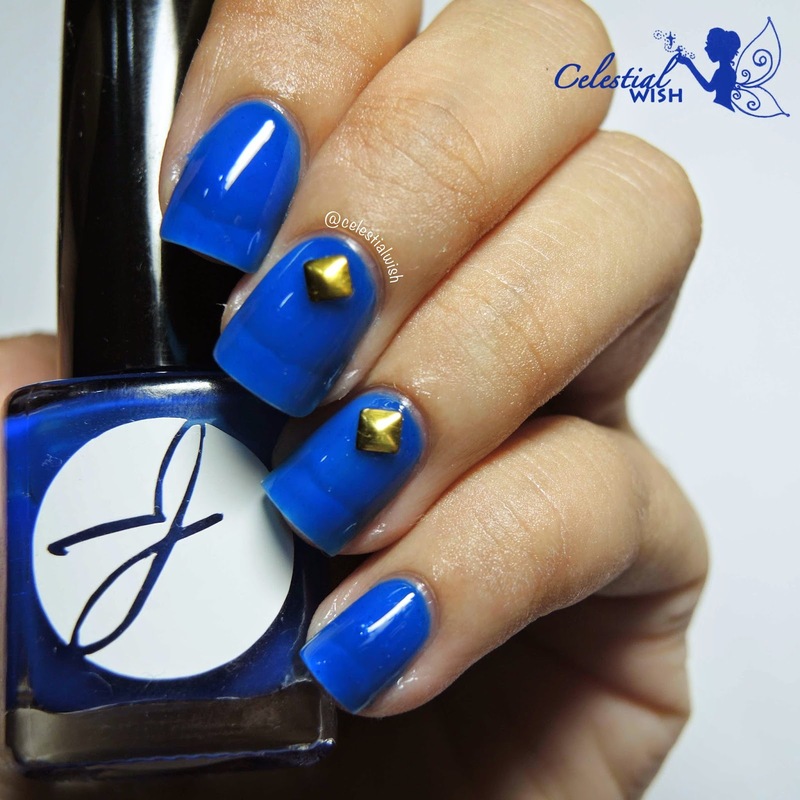 They released #JiorNailsAndDrink collection on 28 June 2014. The collection consists of photochromic, shimmer, fluorescent, and glow in the dark nail polishes. There will be 6 colors/'flavors for the collection. Namely, Orange-Mango, Purple-Mixed Berry, Red-Raspberry, Yellow-Pineapple, Green-Green Apple, Blue-Blueberry. Each color/'flavor' will have 4 drink inspired lacquers each. Every 15ml bottle will come with a recipe card for it's insprired drink! Although, the lacquers will not be scented but each color/'flavor' group will have a scented top coat. How cool is that! The maker, Sacha has put in great efforts into creating this huge summer collection for you to enjoy! I am here today, to show you the gorgeous colors that they sent me! First up, I have Raspberry Smoothie. "A red with red and gold shimmer. It is a photochromic polishes, a polish that will darken under sunlight." It has a pinky base with strong shimmers in it. As seen, it is 2 base colors of white from Essie and 2 coats of Raspberry Smoothie. Then, we have Blueberry Shake. It is a fluorescent blue polish. It's thin opacity would make Bluberry Shake a jelly polish. Here, we have 3 coats of Blueberry Shake with no base color. Do you like the two colors I have showed you? These are all avaliable on Jior Couture's website! If you checked her Instagram out, you would have known that she is currently running a 15% off entire orders from now till 6 July 2015 @11:59:59 pm EST. Be sure to grab them all! They have many more amazing colors for you to buy for all sorts of occassions! Thats all for now, I have got to get back to studying! I hope you enjoyed this review!